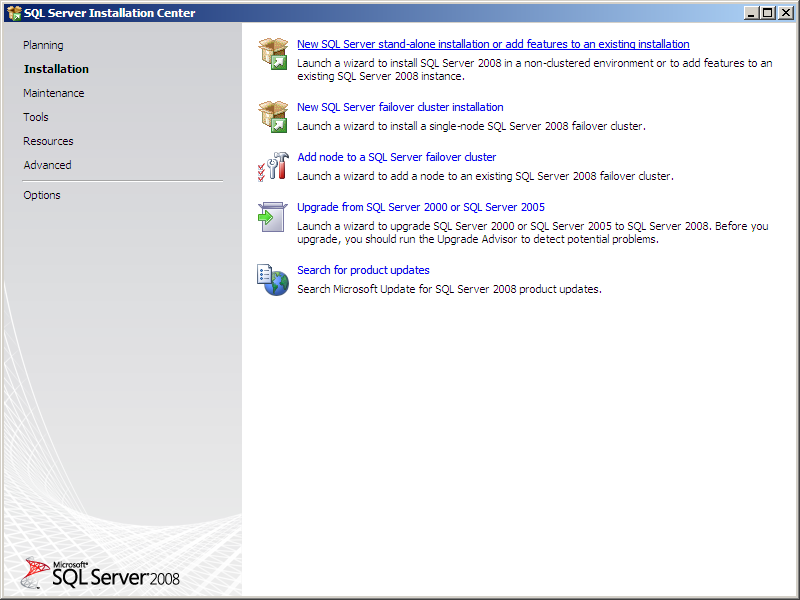 SQL Server 2008 RC0 has been out for a while. You can download it here. This post is not a detailed examination of the setup options. There are much better articles and posts out there if you want more information. 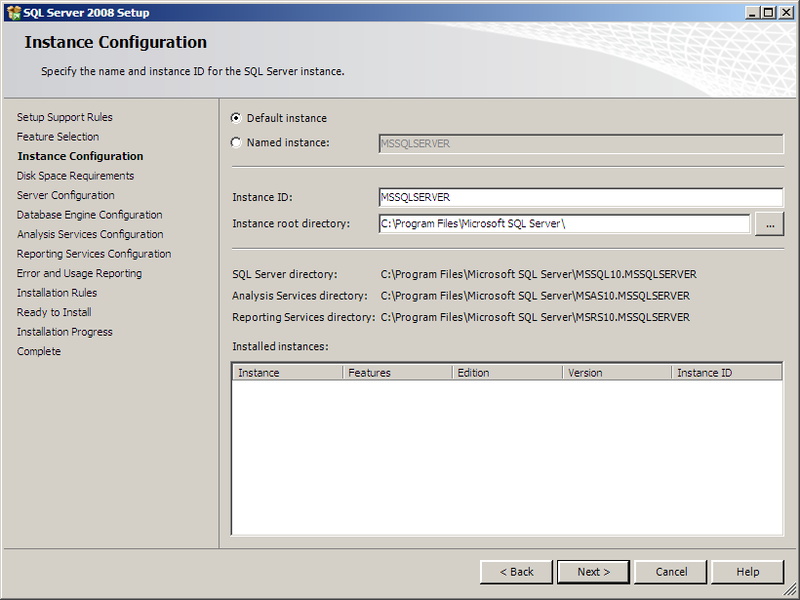 This post represents one way to get SQL Server 2008 RC0 up and running so you can start learning the new features! 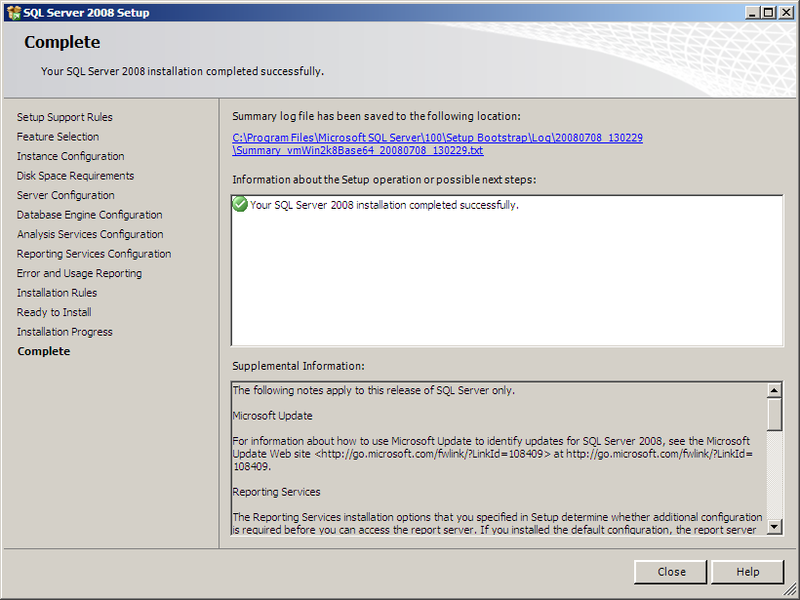 I downloaded the software and installed it on a brand new virtual machine running Windows Server 2008 Enterprise (without Hyper-V). I used VMWare Workstation for this virtual machine because I need a 64-bit guest OS. 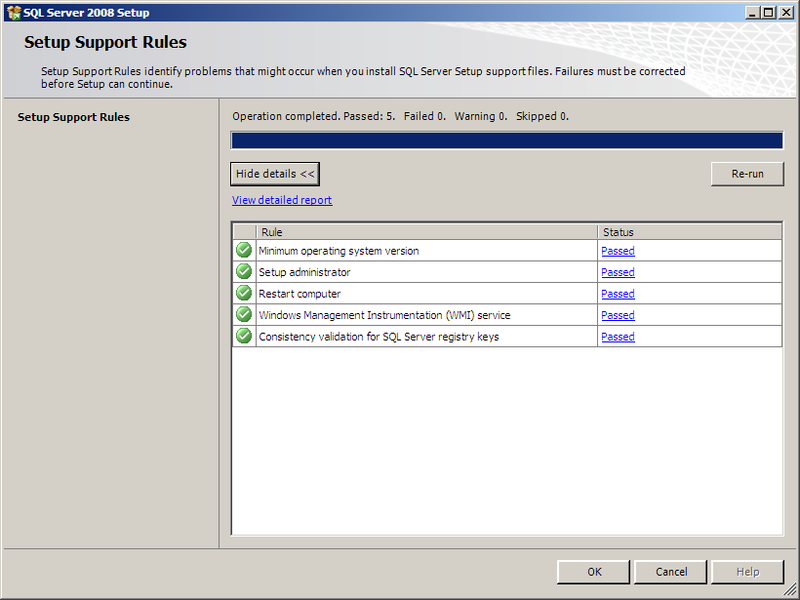 I was also able to configure the machine to use both CPUs on my host system. 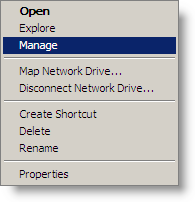 This may be possible with Virtual Server or Virtual PC, but I don’t know how to do it (if it is). That’s it! 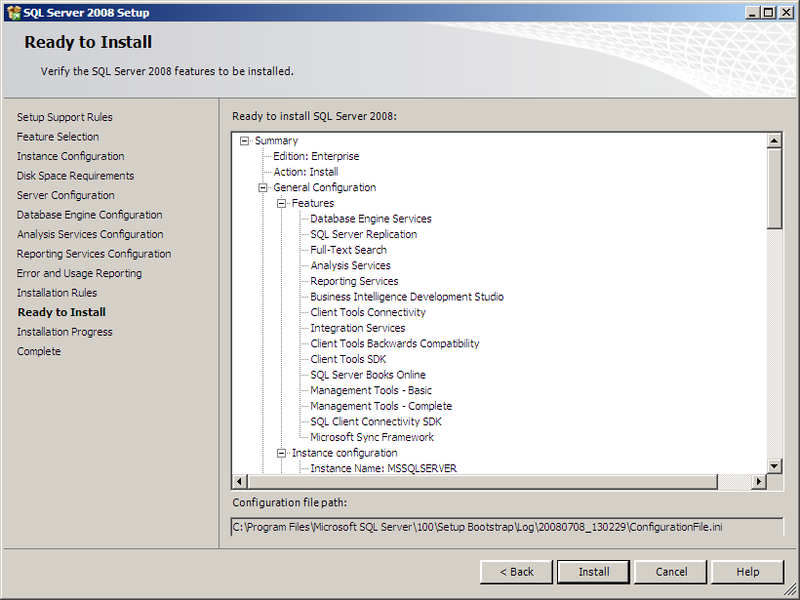 You’ve successfully installed SQL Server 2008 RC0 – congratulations! I am not a spammer. I’m a guy trying to inform 500 people in the Richmond .Net and SQL Server Developer Communities about upcoming meetings and events of interest to them. To protect their privacy and my sanity, I keep their email addresses in a Google Email Group and BCC that group each time I send them an email. The new email sending limits seem to be working fine when used against me, but my spam folder still receives more email than my inbox – and that’s saying something: I receive a bit of email. Is there a way to create a “white list” of some sort so I can contact the developer community without losing the privilege of sending email for 24 hours at a time? I lived in the sticks (we had to pipe in sunshine but moonshine came in Mason jars…) when our neighbor retired from the Air Force. John was an engineer and built a Southwest Technical Products Motorola 6800-based computer trainer from a kit, followed by a computer. I learned M6800 machine language on the trainer. Set the toggle switch up for 1, down for 0, IncAddr, LDAA switches, etc. I learned BASIC later that year – we had no persistent storage so we had to key in hexadecimal from Byte magazine for a while before actually coding BASIC, if we got it right. Usually John would read and I would type. It was cool. I wrote a program to track weather systems across the US. The grid was initialized with periods and storm system centers were represented with asterisks. 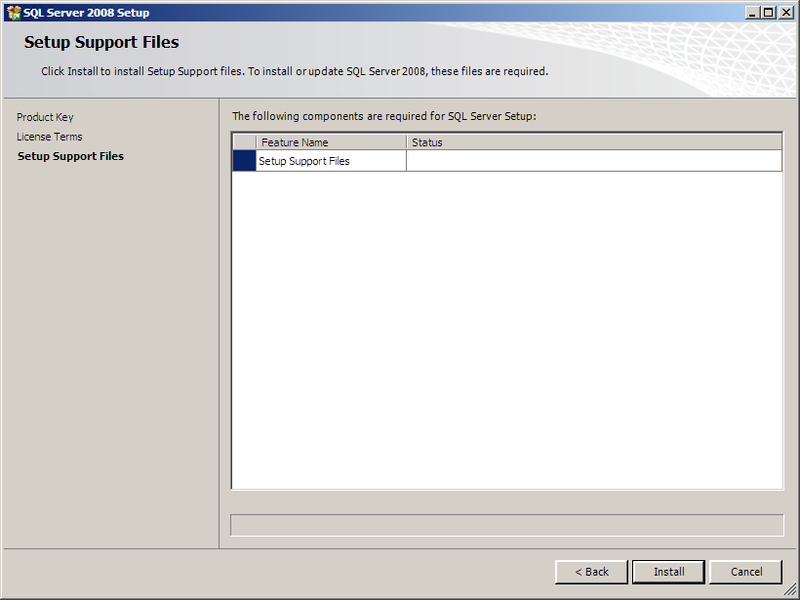 These days I work with T-SQL, SSIS, SSRS, and VB.Net scripting inside SSIS and SSRS. Programming was a hobby for a good couple decades (it is still my hobby). I found myself programming at a lot of jobs before it was my “job.” I programmed “stuff” while in the military during the 1980’s, and banking systems for about five years in the late 80’s/ early 90’s. I programmed machine controllers (PLCs) and HMIs while an industrial electrician. Once I became an engineer, I programmed even more of these systems. But I suppose my first official programming gig was when I started my first business in the mid-90’s. I was regularly able to attract and deliver software projects in between designing and building electrical control systems. Without reservation! As I stated, programming remains my hobby! Continue learning and growing. Don’t expect things to stay the same. If uncertainty bugs you and/or you need stability for your long-term peace-of-mind, you’re in the wrong field. Keep learning. If you enjoy learning, you’re in the right field. I have a good friend who works for NASA. Bruce showed me this application that allowed him to connect to some big network NASA could access in the early 90’s. The application showed him pages with links which was cool in and of itself, but what really got me thinking was that it ran on his Sun workstation and his Mac. What’s more, there was a version that would run on my 486. Whoa! Cross-platform, and it looked and acted the same! It was Netscape and I immediately bought a copy (I think I paid $56 USD). I learned HTML. About that time, Rockwell bought Allen-Bradley and produced a suite of drivers that allowed me to communicate between VB (or VBScript) and an industrial RS-485 network of PLCs running at (a screaming) 19.2 kbps. I was inspired. 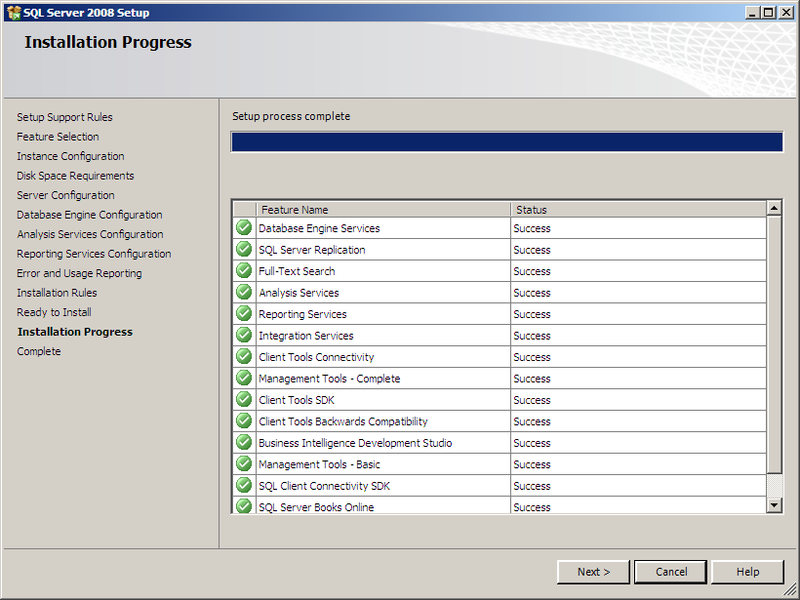 I wrote an app in VB3 that would read registers in the PLC and generate *.htm files every 10 seconds. Folks in the plant – anywhere in the plant, running almost any platform – could see the latest counts and temperatures and process data from these machines – all the time! They just had to hit the refresh key. I realized later I had written the beginnings of one of the first web-based Manufacturing Execution Systems (MES’s) – called Decision Support Systems at the time. I would call others if they bothered to blog! Speaking at CMAP 1 July! I am honored to present Cool Stuff With SSIS at the 1 July 2008 meeting of the Central Maryland Association of .Net Professionals (CMAP)! If you read this blog and attend, please introduce yourself! A lot of life and nearly all business is based upon relationships. In business, it’s possible to lose money and remain afloat – and thrive in some cases – so long as you maintain positive cash flow. A business that is turning a profit can also fail by not properly managing or maintaining a positive cash flow. In the economy of relationships communication is the currency and courtesy is analogous to cash flow. This is why people will say things to you in business like “Pick your battles.” If you’re going to fight (ie, become discourteous) for something, it better be important. So let me ask the participants in the Vote of No Confidence Petition a hypothetical question: As a technology professional who will – hypothetically – enjoy the benefits of a relationship with arguably the largest and most influential ISV on the planet, are five bugs worth it? In my opinion the Entity Framework Team at Microsoft has responded to an irrational attack with dignity and grace. Kudos to them. It seems the uproar is being mostly generated by one person. It also seems this isn’t the first overreaction for this particular individual. I am a huge fan of developer communities. Were I a member of the Alt.Net community I would not be afraid, I would be ashamed. This isn’t advocating censorship of free speech, this is advocating responsibility for free speech. Sometimes people stand up for their right to free speech; sometimes (this is one of those times) the right to free speech stands up for an individual. Regardless, one is never free from the consequences of exercising their right to anything – free speech included. In Farmville, we call this a “mistake”. When you make a mistake the best thing to do is admit it, clean up the mess, move on, learn from it, and definitely do not repeat it. Whatever you do, don’t continue justifying it. That’s another mistake. I just wrapped up an ETL With SSIS class in the Rochester, NY area and one of the students in the class pointed out “You haven’t blogged in over a week!” He’s right – I need to blog more and more often. I’ve been distracted with preparations to sell our house, releasing an e-book, writing the next volume in the e-book series, and working. No excuses, just information. I’ve seen some articles and posts lately taking aim at various technologies, some aimed at Microsoft and others aimed at a field of technology in general. The Microsoft uproar is about the ADO.Net Entity Framework. On one side is Microsoft, Tim Mallalieu, Ward Bell and the team that developed EF; on the other side are a group of people who decided to post an online petition to gather signatures and warn potential users of EF of potential dangers using the product. The “field of technology in general” is databases and data applications: Others are commenting about database and business intelligence topics. Now, I won’t comment about the technical aspects of the ADO.Net Entity Framework because, well, I know very little about it. I will say this: I do not like the way this is happening. Here’s why: Microsoft has channels of communication for feedback from the community. Microsoft Connect is but one example of this (albeit a good one). For MVPs, there are direct communication channels to the Microsoft development teams or to those who communicate directly with those teams. Maybe I have this wrong, but I enjoy helping people learn to implement technical solutions. For me, that’s the juice. I enjoy watching a new application or database or website go – especially if it goes faster than it did before. I’m thrilled by the look on student’s faces when they put the pieces together about SSIS or database development. So what happened here? Again, I’m not sure. I have seen similar things in the past. Maybe this applies to this situation, but probably not. There is a world of difference between “I don’t like it / I don’t understand” and “This is wrong.” The former is an opinion; the latter, a judgment. And – this is crucial – you can fix “I don’t understand this” with education (if you’re willing to learn). When I read a judgment about a technology topic, my initial reaction is to question the writer – especially when the writer has the talent and skill to help ordinary users address the issues they’ve identified and opts instead to bash the technology. It’s one thing to say “This is wrong” and another to say “I disagree with this implementation of technology but here’s how you can make it work like I think it should”. That’s a lot of verbiage but I think you get the point. One response is helpful. I understand this technology better than EF technology. Let me first start by saying that if I do not personally know how to do it, it cannot be done. Did that last statement sound cocky? arrogant? conceited? accurate? Yes, yes, yes, and no. Suppose I write something like: “If you don’t know what I know, you’re stupid and should quit database work and go do something else.” Again, cocky? arrogant? conceited? accurate? Yes, yes, yes, and no. This doesn’t help you. This doesn’t help me. In fact, this doesn’t help anyone. So here’s my two cents: It’s better to help folks than to complain – even if you sincerely believe your complaining is helping folks, it’s not. Really. 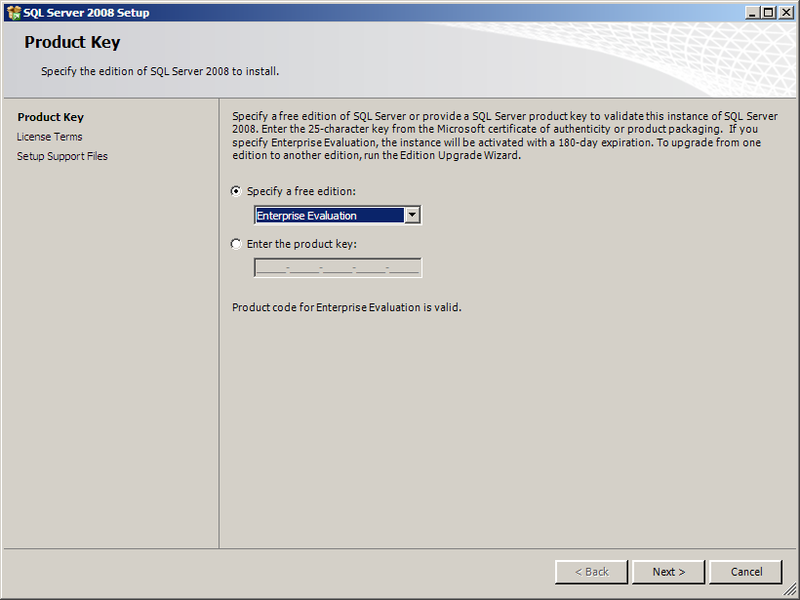 Database Edition Now Does DB2! 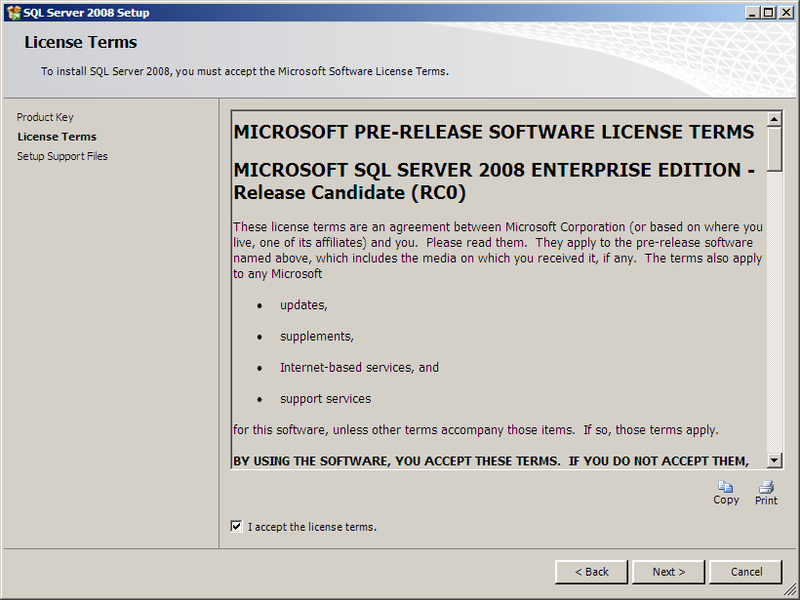 Tech Ed 2008 included some major announcements for database development folks. 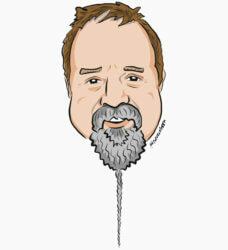 One of the biggees was this – and announcement that Database Edition is going to support DB2 development! 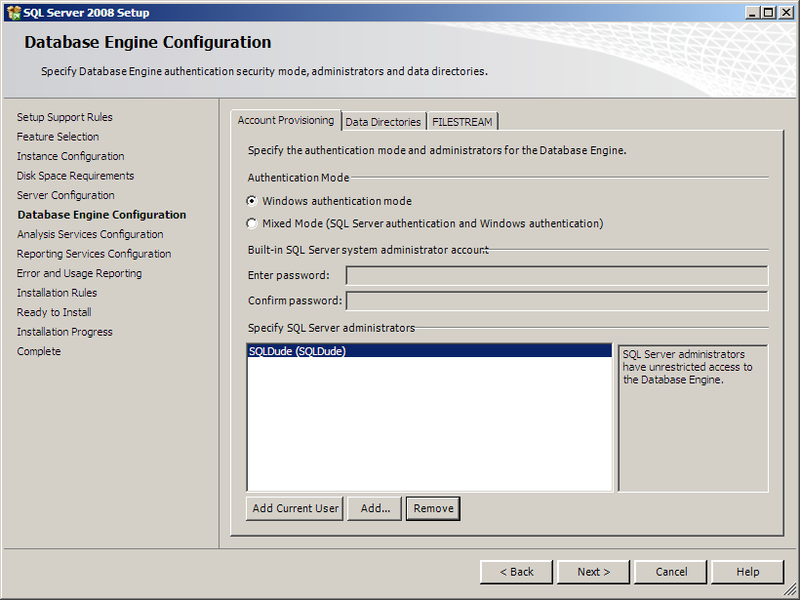 Gert and the team have been working hard to expand the underlying architecture and functionality of Database Edition (making it extrememly difficult for this one author I know in Farmville to keep up… I’m not complaining!). 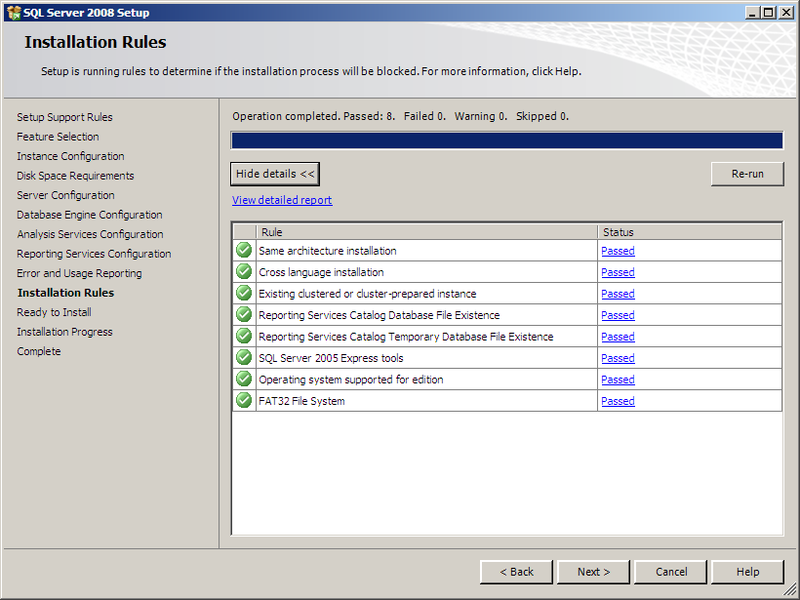 Rearchitecting Data Dude to utilize a provider-based model was no small task, but the team at Microsoft has been able to pull it off – way to go team! 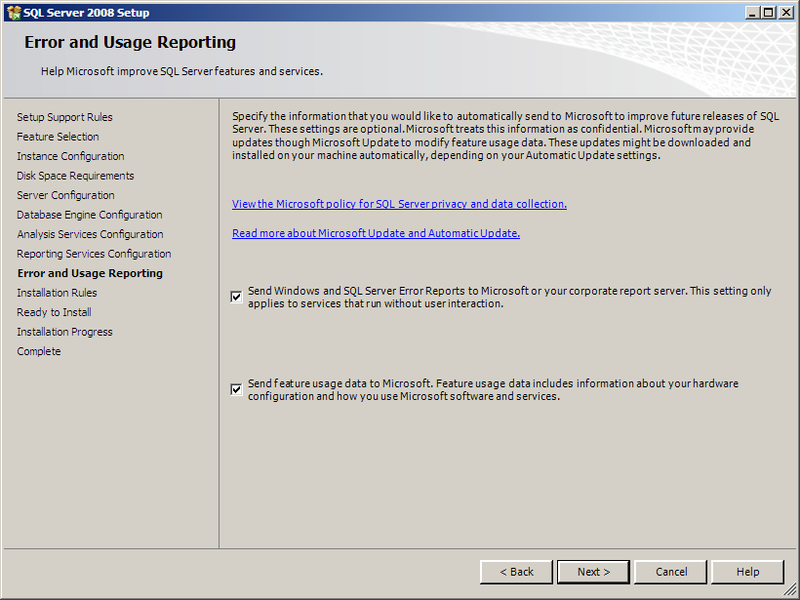 These changes affect a lot of how Database Edition currently works. We were given a preview at the MVP Summit in April. The work is impressive, but the ability and agility provided by the new architecture is even more so. 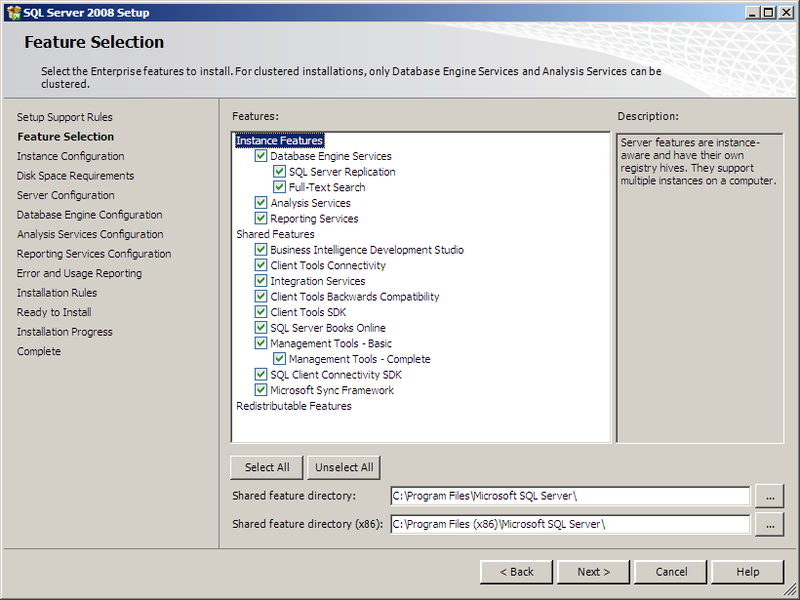 You will see a ton of changes with the release of Visual Studio Team System 2008 Database Edition GDR. You can currently download the June CTP here. My first e-book is out! Mastering VS 2008 Team System Database Edition, Vol 1: Creating and Deploying Database Projects is available at Solid Quality Press. 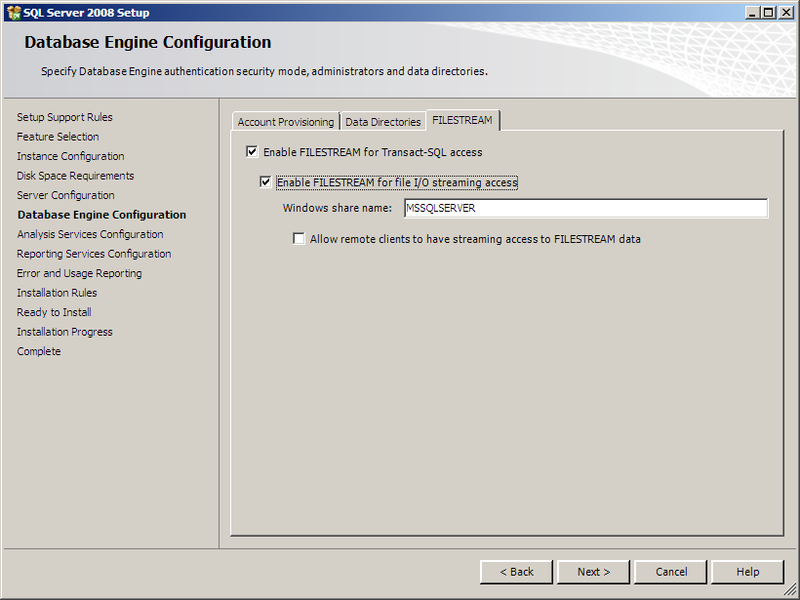 Volume 1 of the Mastering Visual Studio 2008 Team System Database Edition series focuses on creating and deploying database projects. The goal of the manuscript is to provide the concise and practical knowledge required to build and deploy a database project. Topics include database project creation, database deployment, database development principles and best practices, version control, and database application lifecycle management. I’m writing Volume 2 now which focuses on Database Testing with Database Edition. 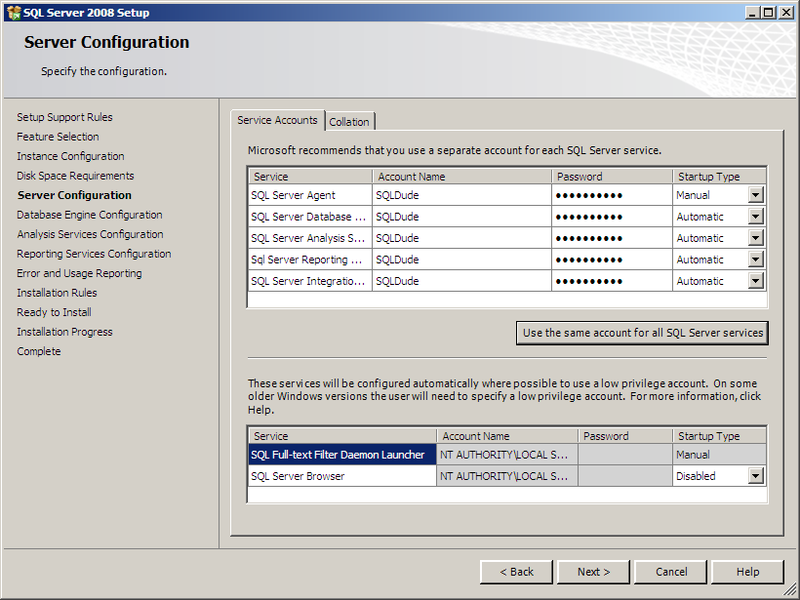 The SQL Server 2008 RC0 download is available to the general public here. 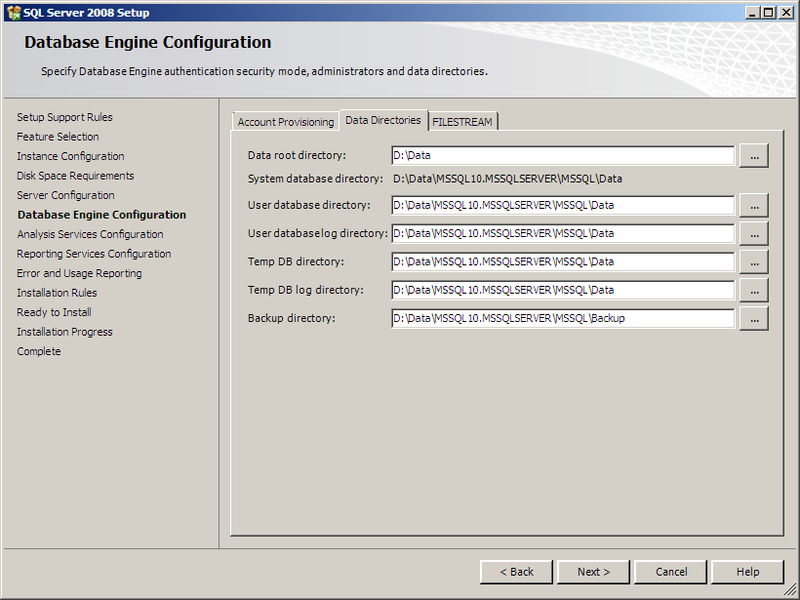 You can also get a configured virtual hard drive here – already installed and ready to run. 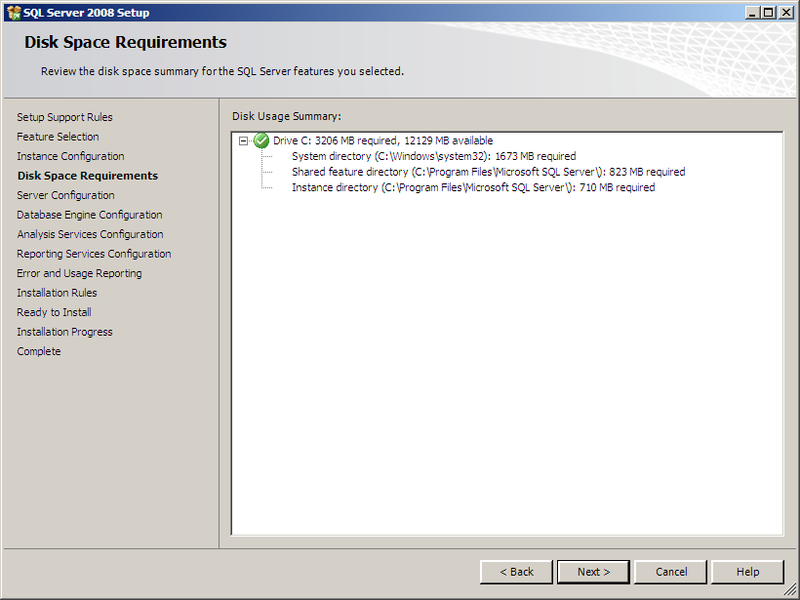 Regarding virtual machines: invest a day now if you are not familiar with this technology. It will save you weeks and months in the future, I promise. 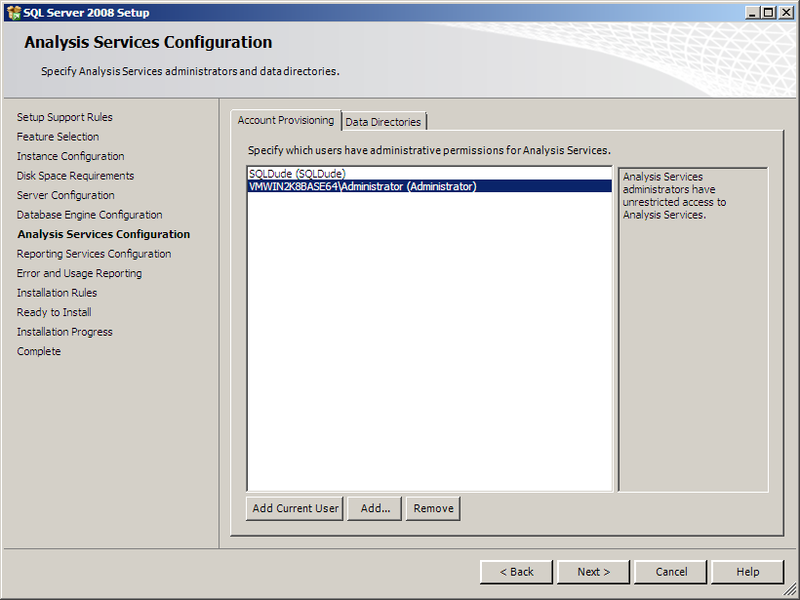 After you get your virtual envirnoment set up and running, you can install anything you like. This protects your laptop or desktop from “bad things” happening with a CTP or RC installation. You will thank me later. 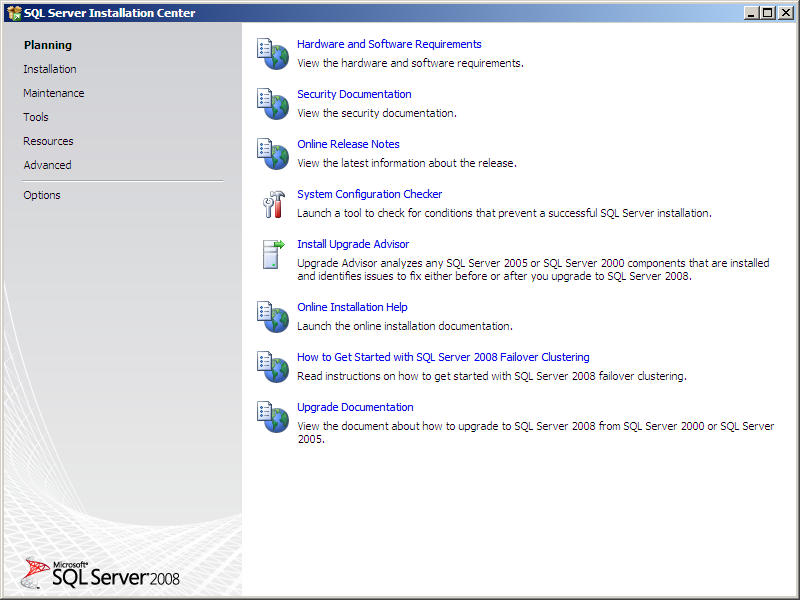 Using Virtual PC and Virtual Server, you have to install the x86 versions of the OS and SQL Server 2008 RC0. For me that’s no big deal – I’m not loading it to stress it (not yet anyway), I’m loading it to learn more about it. You can too.